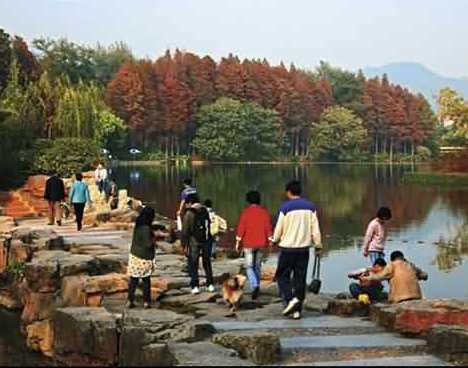 Located in the northeast of Guangzhou, Baiyun Mountain has an area of 20.98 ㎡. Its highest peak, Moxing Ridge, is 382 meters (1253 ft) in height. 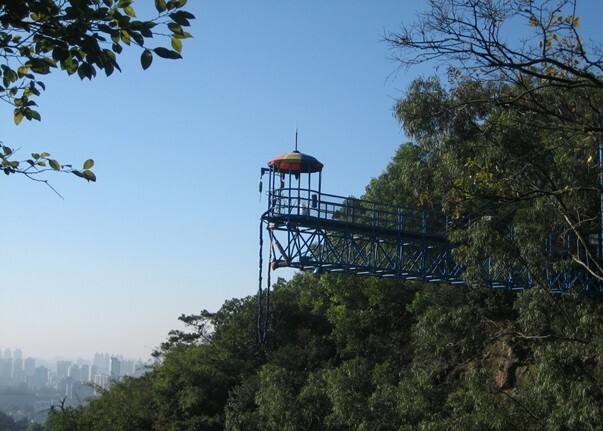 Baiyun Mountain is reputed as the First Spectacular Scene of Guangzhou. 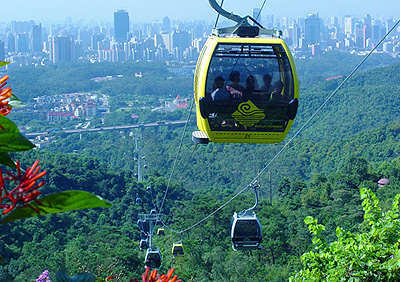 You can view the whole Guangzhou city from the top of the mountain. The mountain was named Baiyun (White Cloud) Mountain because of White cloud flying over Baiyuan Mountain, and gathering around its base. The whole scenic area is a resort. 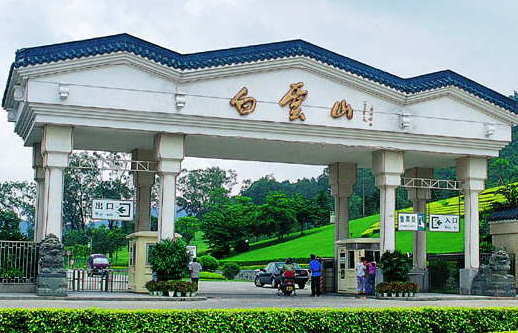 It has 7 tourist zones from south to north, namely Luhu Park, Santailing Park, Bird Spring Valley Park (Mingchun Valley), Moxing Ridge, Bright Pearl Building Park, Fei'eling Park and the San tailing Summit Park. 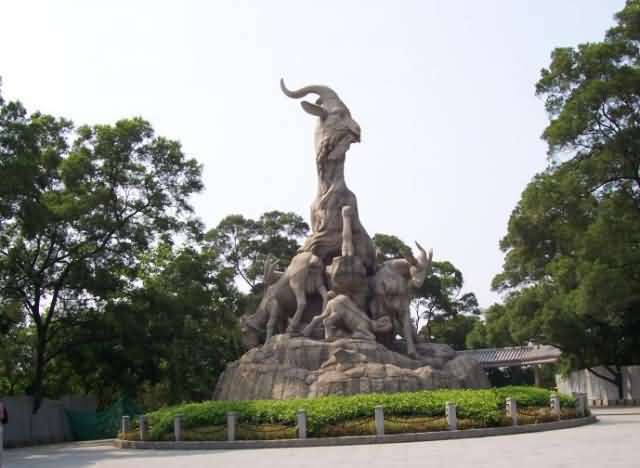 There are 3 top scapes in the areas; Yuntai Garden, located in Santailing Park, is the largest landscape garden in China; Bird Spring Valley Park is the biggest natural birdcage in the country and Sculpture Park located in Fei-eling is the biggest sculpture theme park in China. 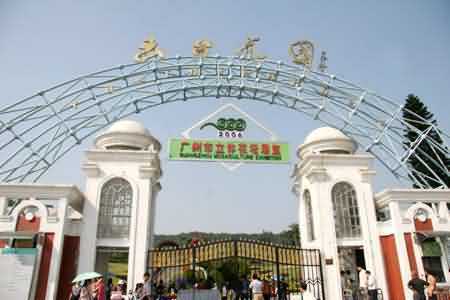 Baiyun Mountain has plenty of Natural resources. 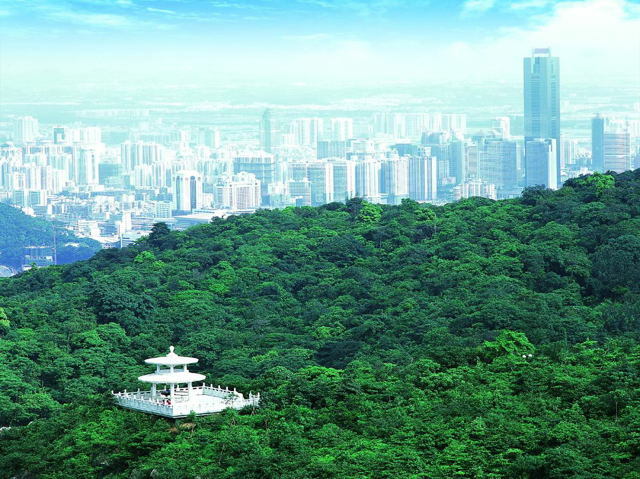 It is located at the Sub-tropical Climate area so the vegetations on the mountain are enrichment. 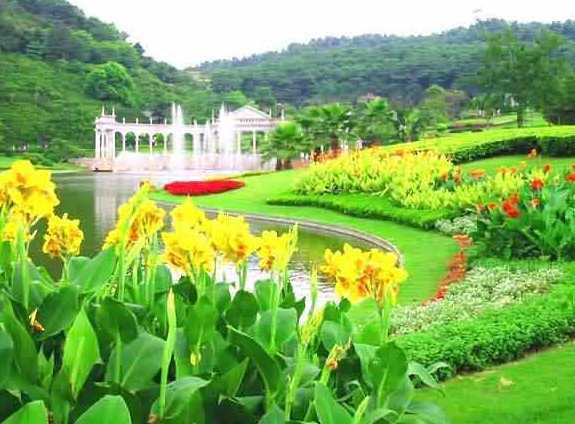 It has 876 kinds of plants; 5 of them are precious plants protected by the country. Among the 657 wild plants, several of them are in the potential of economic value. The virescence covers 95% area of Baiyun Mountain absorbing 2800 tons of CO2 everyday. 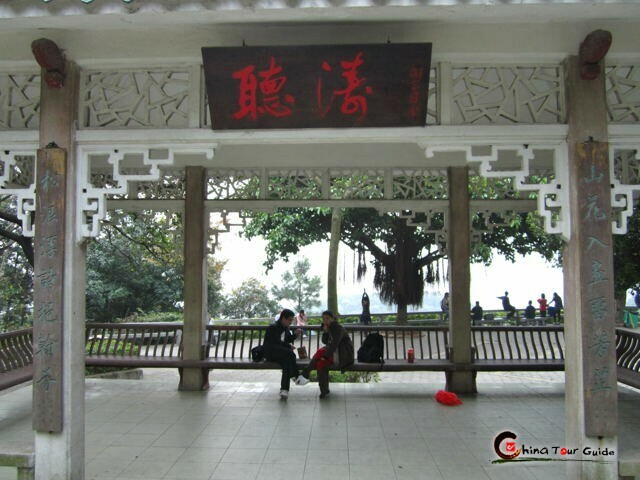 Therefore, it is known as the lung of Guangzhou city. According to the mensuration, the air quality of Baiyun Mountain has reached the National first standard. The mountain has also lots of cultural scenery spots. 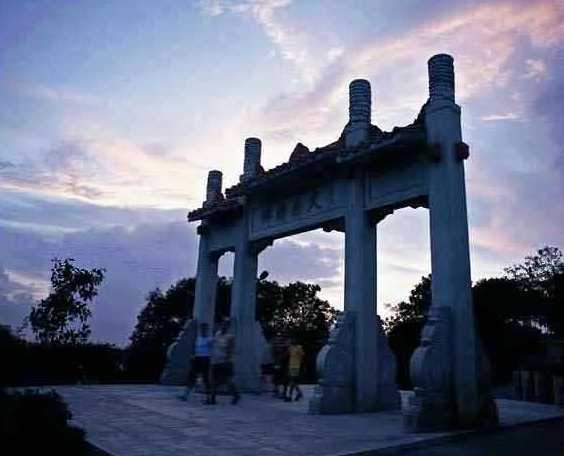 There is a Neolithic relic at Huangpo Cave which is located at the foot of the mountain; the oldest temple here was built in Nan Liang (502A.D－557A.D); Lots of poets wrote poems for the mountain after Tang Dynasty(618A.D～907A.D)and Song Dynasty(960A.D—1279A.D). 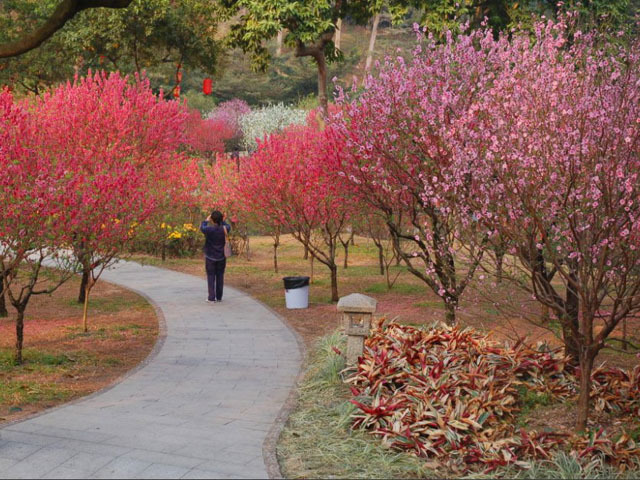 Located at the foot of the mountain, Yuntai Garden is honored as a bright pearl of Baiyun Mountain. It is a park featured garden famous for its flowers, trees and scapes. There are 14 scenery spots located here. 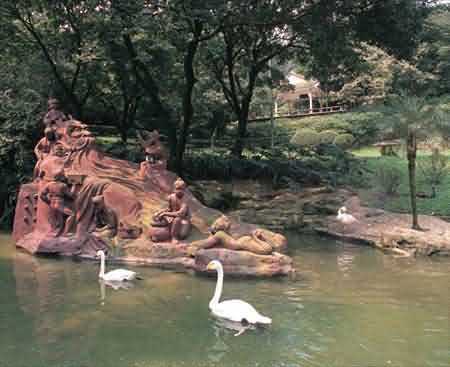 Yiyuan has a huge stone sculpture of 1200㎡ which represents friendship and peace; a Sun plaza formed by rugged odd stones and totems is in Rock Garden; In spite of them, the light waterfall and those flowers in the garden are all splendid. Mingchun Valley is the largest bird viewing district in China. It is called as the natural birdcage. With an area of 50,000 ㎡, it is divided into three areas. There are about 5000 birds of 150 kinds in the valley. 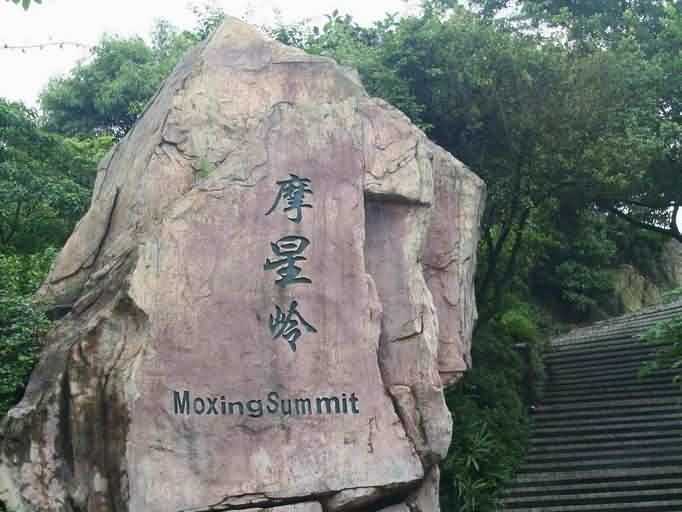 With the height of 382 meters (1253 ft), Moxing Ridge is the Peak of Baiyun Mountain. 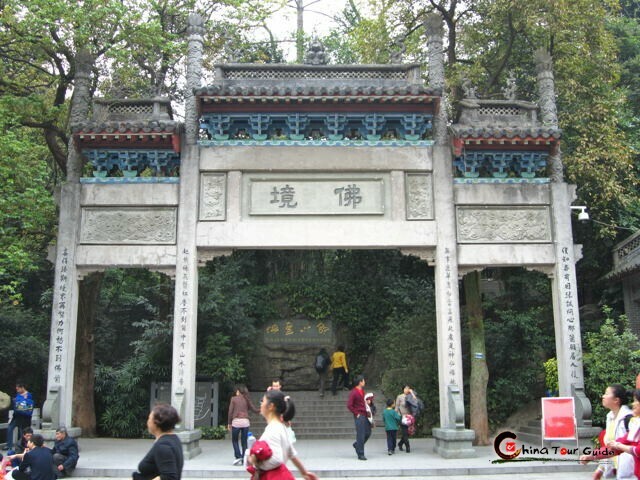 Its original name was "Baiyun Apex" and was changed to Moxing Ridge during the reign of Kangxi (1661—1722). The whole view of Guangzhou city can be viewed here. 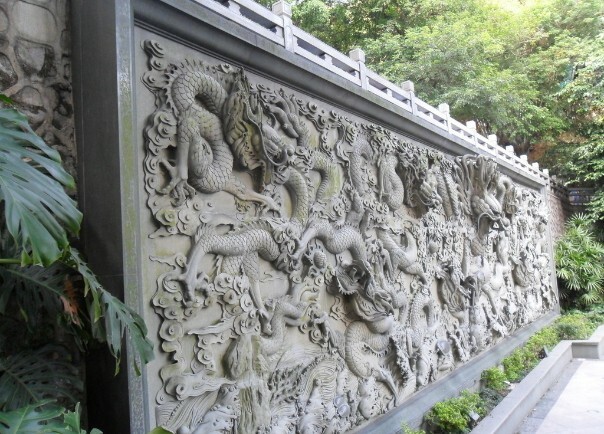 Please click " " to add the attraction in you favorite list, let us plan a private Guangzhou Tour for you. Guide for China tours, offers most value & amazing experience. 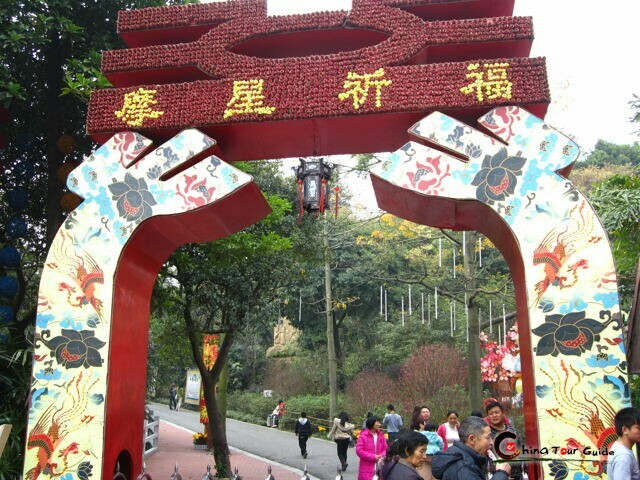 Chinatourguide.com. Your reliable China tour agency.